To get your free copy of the Boston Common Pullover, please subscribe to receive our e-mails (valid through 1/23/15). At Worldknits we respect your privacy and will not share your information. Thank you! You will receive a unique download code via email shortly. Life is about to change here at the Worldknits design studio and in a big way. My husband Alex and I will be welcoming our first child, baby Alex, to our family in May! To celebrate I'm offering a free download of the first pullover I've designed for our little wiggle worm and a chance to win a kit that includes all of the yarn to make it (details below). Is Baby Alex a Boy or a Girl? 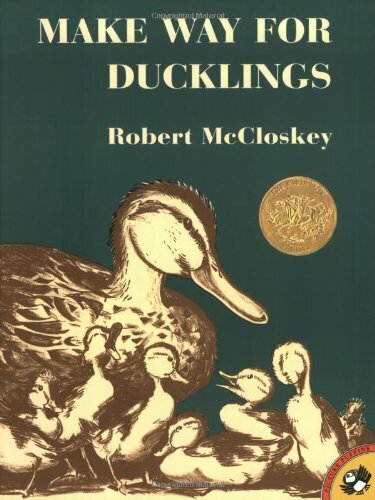 The Boston Common Pullover was inspired by Robert McCloskey's well-loved children's classic, Make Way for Ducklings. 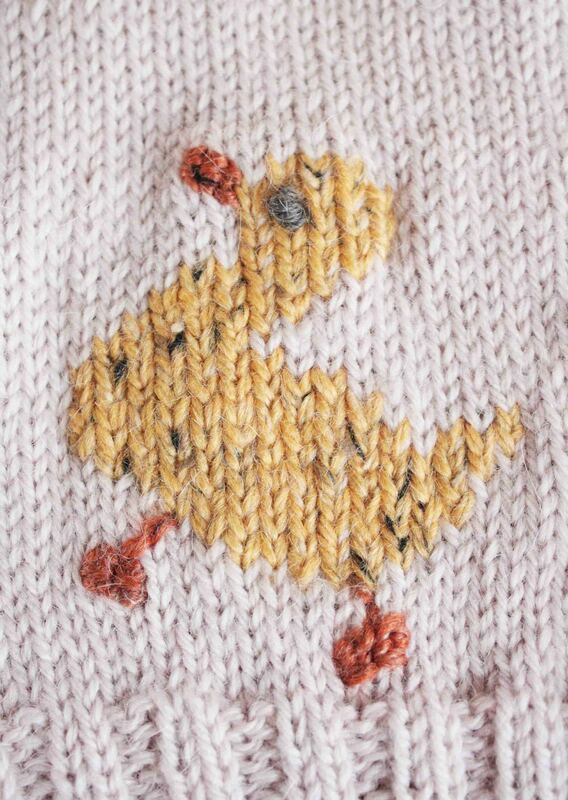 It features a duplicate stitched mama duck, trailed by her adorable little offspring. Because this pullover is worked almost entirely in stockinette stitch, it will fly off your needles. It's sized for babies 0-3 mos, 3-6 mos, 6-12 mos, 12-18 mos, and 18-24 mos. I have a feeling that you'll begin to see the Worldknits baby pattern collection grow. I, for one, am excited to start knitting some smaller projects, after the massive amount of Dressed in Knits book knitting I finished at the end of last year. Contest Details: To enter, comment on this post, sharing your favorite children's book and enter your contact details using the form below (so that I can contact you if you win; you're not being added to our e-mail list). One winner from the US will randomly be selected to win the Boston Common Pullover kit. One international winner will randomly be selected to receive a free pattern download of their choice from the worldknits shop. 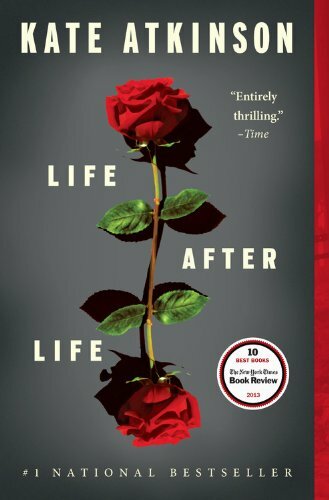 Contest ends January 23, 2015. Winner will be contacted by e-mail on January 24, 2015. If winner cannot be reached by January 26, 2015, a new winner will be chosen. Thank you! Be sure to leave a comment for your entry to count.